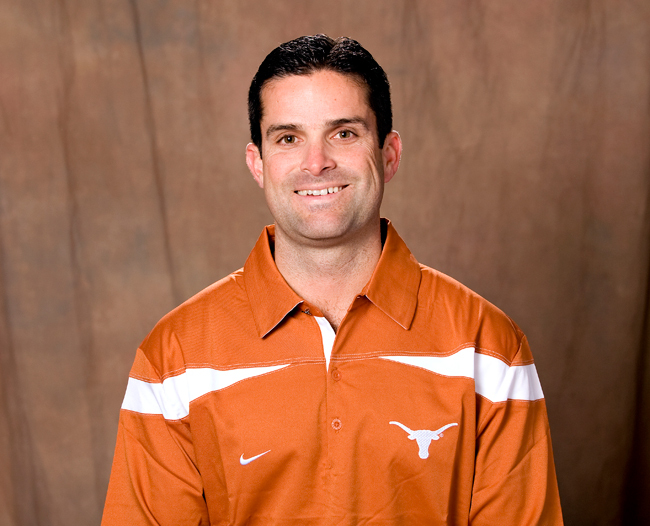 The Longhorns welcomed six new coaches in 2011 and they helped bring a three-win improvement to the program: from 5-7 to 8-5. Texas played some of its best ball in California--a 49-20 win over UCLA on Sept. 17 and a 21-10 win in the Holiday Bowl against Cal on Wednesday--and with that in mind, our season review of the Longhorns' coaching additions comes with the flavor of a Hollywood movie review. All reviews are out of five stars. Diaz was a blockbuster hit for Texas in his first season in Austin. 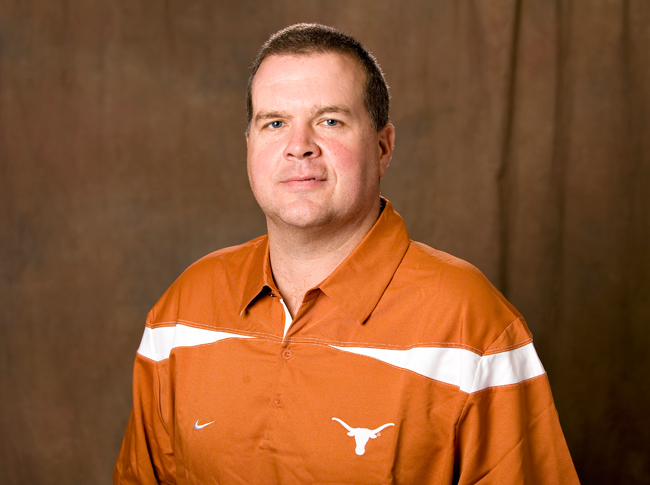 He was the architect of the Big 12 Conference's No. 1 defense, getting the most out of a unit that failed to live up to expectations under Will Muschamp. Diaz integrated his new schemes quickly and garnered a lot of praise from head coach Mack Brown for his strong communication skills with the players. The Longhorns raved about Diaz and relished playing in his defense. Texas forced a season-high five turnovers in the Holiday Bowl to end the season in impressive fashion, and the defense will only improve as the Longhorns become more comfortable with Diaz's philosophies. 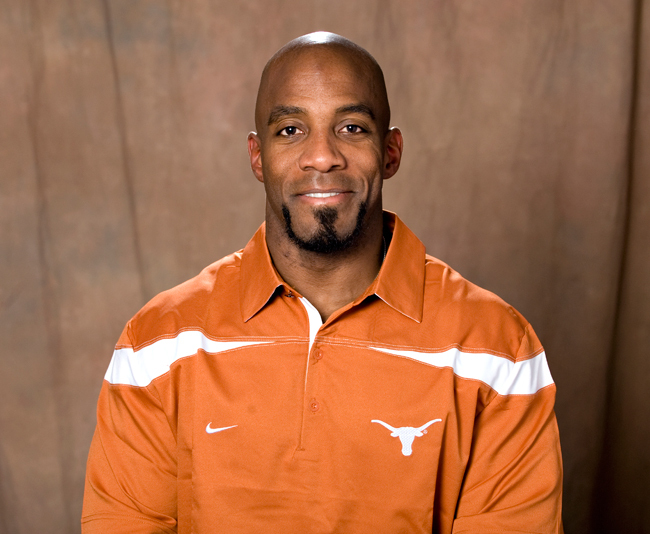 He inherited a defense with an unproven secondary and a thin defensive line, but that didn't stop UT from ranking No. 11 nationally in total defense (315.33 yards per game) and No. 8 against the run (103.67 ypg). Still, the only thing holding Diaz back from a 5-star rating was his squad's penchant for giving up the big play (long scoring plays doomed the Longhorns in each of their five losses). Harsin resembled a big-budget, 3-D film: flashy, fun, but lacking in substance. The more you examined him, the more flaws you found. For every brilliant gadget play that resulted in a touchdown, there was a head-scratching call and a trend of going away from the running game too early. Granted, it's not easy for a team to fully grasp a new offensive scheme and playbook, and Harsin wasn't blessed with Vince Young or Colt McCoy under center. He made the most of what he inherited from Greg Davis for the most part, and UT put up a modest 404 yards per game. 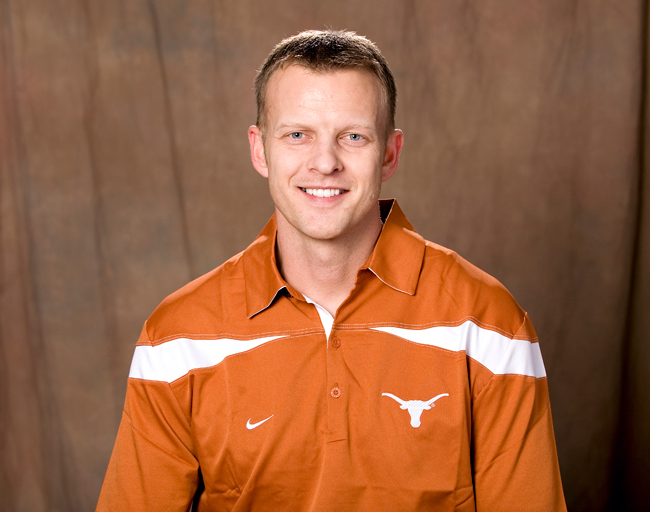 Still, Harsin abandoned the Longhorns No. 19 rushing attack (210.42 ypg) far too often. Injuries to Malcolm Brown, Joe Bergeron, Fozzy Whittaker and Jaxon Shipley limited his play calls, but when his playmakers were in the game they were often overlooked. The quarterback situation was a mess and Harsin never settled on David Ash or Case McCoy as the starter, though neither player ever separated himself and entered the season with one career pass attempt between them. But Harsin's trick plays were a joy to watch and his creativity was a welcome sight. He wasn't a box-office flop, but the sequel should yield better results as the Longhorns grow in his system. Searels was like a new director overseeing a successful movie franchise: putting his own twist on a formula that worked for years. Searels, though, toughened Texas in the trenches and brought a mean streak to the men up front. After years of zone blocking, the Longhorns reverted to a downhill blocking scheme similar to the unit's Searels coached with and against in the Southeaster Conference. He developed redshirt freshman Dominic Espinosa into a reliable starter and found a star in the making in rookie tackle Josh Cochran. Searles inherited a relatively soft line and morphed them into a mean bunch, though they didn't bring that mentality to all 13 games. It will take more than just one season to change the culture up front, but Searels has Texas headed in the right direction. Wyatt compared to a low-budget, independent film in his first season with UT: trying to get the most out of an inexperienced group while trying to keep up with the high-powered passing attacks of the Big 12. Wyatt inherited a young receiving corps and didn't get a chance to work with junior Marquise Goodwin until after the season-opener. Shipley missed time with a knee injury and sophomore Mike Davis also vanished at times, though it wasn't because of injuries. The constant shuffling made it tougher on Wyatt and Texas never established a reliable passing game--you can blame poor QB play for that as well. While the receivers didn't have the best hands, they were an excellent blocking group and assisted the running game more than in previous years. Still, Wyatt couldn't get promising sophomore Darius White to the next level, and he left the program before the bowl game. If Wyatt can continue to get his players to block downfield, the passing game will come around with Austin High product Cayleb Jones coming next season. 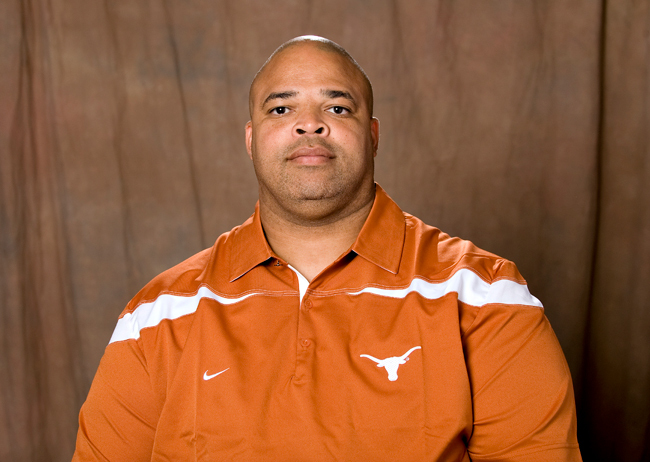 Davis was a solid addition to the Texas staff in 2011, similar to a good movie that would be a good rental if you didn't catch it in theaters. Davis won't win any awards for his work, but the defensive line improved under him. He found reliable backups to Kheeston Randall in Calvin Howell and Ashton Dorsey: a pair that will only improve over the next few seasons. Davis' tackles were solid in the middle and controlled the line of scrimmage. 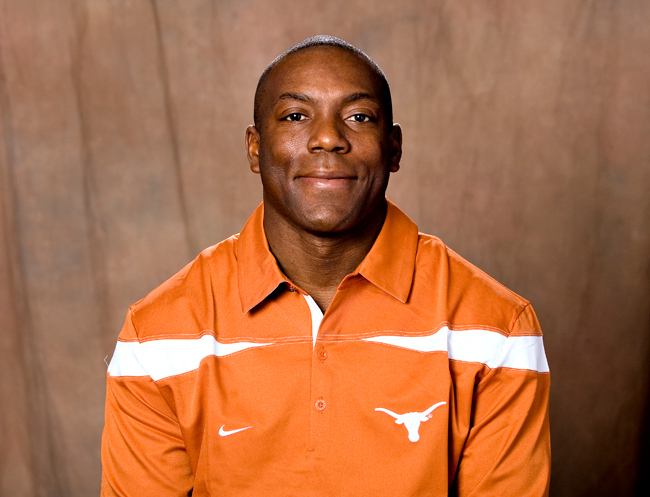 He also did wonders with Chris Whaley, who moved to tackle after beginning his career as a running back. Davis' group was above average, though they were gashed for a few big runs. He has room to improve, but Davis proved to be a smart hire. Wylie's first year on the 40 Acres was like a critically acclaimed foreign film: hard to judge by most, but impressive nonetheless. Wylie got the Longhorns back into shape after they slacked off in the 2010 offseason following a National Championship loss. Texas was stronger, faster and better conditioned this year, and Wylie was a player favorite. Fozzy Whittaker was in the best shape of his career before a knee injury ended his senior season, and Wylie played a big role in Whittaker's impressive season. He didn’t directly contribute to any wins, but Texas was a good fourth quarter team thanks to Wylie's offseason conditioning and weight training programs.